In the early 1930s, a young English traveler named Patrick Leigh “Paddy” Fermor set out to walk from the Hook of Holland to Istanbul. The account of his journey became a classic of travel writing — including his descriptions of Golden Eagles in the Carpathian Mountains of Czechoslovakia. Unfortunately, in the cataclysm of the Second World War, much of the human world of Middle Europe that Fermor traversed was swept away. 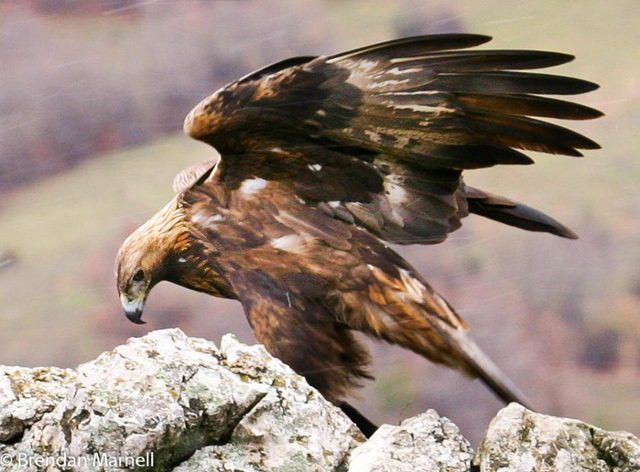 But today, in the Carpathian Mountains, the Golden Eagles remain. Careful not to move an eyelash, I watched, until at length on a sudden impulse, with a creak and shudder, he opened his wings to their full tremendous span…and…with a slow springing movement…he was in the air, all his flight feathers fanning out separately and lifting at the tips… as he allowed an invisible air-current to carry him out and down and away. In the cataclysm of the Second World War, much of the human world of Middle Europe Fermor traversed was swept away. 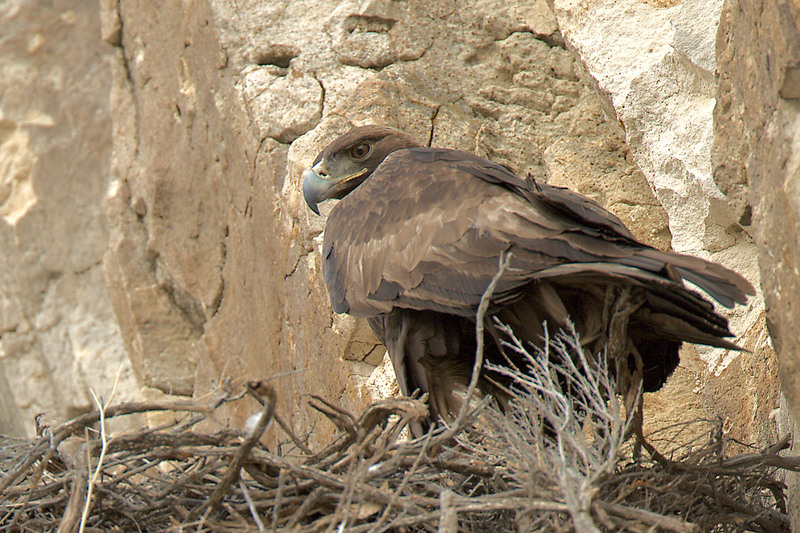 But even today, in the Carpathian Mountains, the Golden Eagles remain. Bird sounds provided by The Macaulay Library of Natural Sounds at the Cornell Lab of Ornithology, Ithaca, New York. Wind sound 'Nature Sound 000001 Wind-Soft' recorded by Gordon Hempton. (1) Between the Woods and the Water, Patrick Leigh Fermor. New York Review Books. 1986. Pages 206-207.